Reminiscent of a southern Mediterranean village, Las Gaviotas is a pristine, picturesque, and secure oceanfront development nestled along the breathtaking Baja coast. White plaster homes with brilliant colored tile and red clay roofs along cobblestone streets directly overlooking the ocean. Imagine lying in a king-size bed next to a cozy fireplace where you can see and hear the nearby ocean. Our home provides exquisite views of sunsets and full moons from multiple vantage points including the spacious living room, dining room, kitchen, patio, guest bedroom, and master suite. We love to rent to families. The maximum number of people allowed in the house according to the Homeowners Association rules is 12. That number includes adults and children. Our Homeowners Association does allow us to have more than 12 people at the house, however, there is an extra nightly fee per person that they charge us for guests over 12 at our house. Please call to discuss. The house is ideal for elderly or handicapped guests because there is easy access into the home. Elderly guests only need to walk up 3 steps from the street to the main level. We have three bedrooms and a bathroom downstairs. There are three bedrooms, two bathrooms, a spacious living room, dining room and kitchen area on the main floor. The kitchen was recently refurbished with new tile countertops, new custom cabinets and drawers. The top floor has a patio, living room, kitchen, dining room and 3 bedrooms. * KITCHEN: Fully-equipped with modern appliances. Full oven and stovetop, microwave, double copper sinks, large refrigerator/freezer, dishwasher, toaster oven, coffee maker, blender, mixer, cutlery, crockery, pots and pans. Dishes and utensils are provided. * LIVING ROOM: Vaulted ceilings with skylights. It has a 3 seat leather sofa sleeper, a leather loveseat and a leather chair, a flat screen 49 inch TV with DVD/CD player, ceiling fans and a fireplace. The sliding glass doors open up to the balcony and the views to the ocean. * BALCONY: A patio table with four chairs. You can check out the surf and witness beautiful sunsets. We have additional tables and chairs in the garden adjacent to our patio that you can use to sit outside and relax. * DINING ROOM: One dining room table has chairs for 7 however, we also have additional seating for 4 or 5 more if you use the window seats in the dining room. The window seats are under a 5 foot by 10 foot window with expansive ocean views. * BATHROOM: Brand new tiled vanity, toilet and shower stall with Mexican tile on the floor and walls. * MASTER BEDROOM : Fan, Cable TV KING-SIZED bed, armoire dresser, two nightstands, fan, cable TV (37' TV), mirrored closet and fireplace. There is a separate wash sink in this bedroom. * MASTER Bathroom: New vanity with dual copper sinks, new tile and custom cabinets. There is a toilet and shower stall with Mexican tile on the floor and walls. * BEDROOM #3: QUEEN-SIZED bed, ceiling fan, night stand and mirrored closet. The bottom floor has 3 bedrooms and a bathroom. * BEDROOM #4: Bunk Bed with full on the bottom and single on the top, a Twin bed, Ceiling Fan, Cable TV (32' TV), mirrored closet and sink. You can easily sleep 4 children in here or 3 adults. * BEDROOM #5: QUEEN-SIZED bed, Ceiling fan, Cable TV (32' TV), 2 end tables, mirrored closet door and a small sink. * BATHROOM: We recently installed a new vanity copper sink with smooth tile and custom cabinets. There is also a tiled shower stall and toilet in this bathroom. In addition, in the hallway outside this bathroom we recently installed another new vanity with a copper sink and custom cabinets. * BEDROOM #6: There is a QUEEN-SIZED Bed and a TWIN Bed. Enough bedding for 3 people. There is also a ceiling fan and mirrored close doors in this bedroom. * MISCELLANEOUS: Towels, bed sheets and blankets provided. *1 CAR GARAGE with automatic door. Washer/dryer in the garage. You are allowed to have 3 cars in the Las Gaviotas complex. We also have other properties (Listing #35219 and #22935) at Las Gaviotas. Please Click on 'All My Rental Listings' link below to view. Check out the over 300 comments from previous guests that have stayed at our houses. We are a family of 6 that lives in San Diego but we make the short drive across the border to Baja quite often. We love being near the ocean. We have a washing machine in the garage that you are welcome to use during your stay. We have a dryer in the garage that you are welcome to use during your stay. You can park up to 3 cars inside our complex and at our house. You can park additional cars outside the gates of the complex. Bath towels are provided. You just need to bring your own toiletries. We have a table with 4 chairs and a bench chairs that can comfortably seat 7 people. In addition in the dining room there are window seats for an additional 5 - 6 people. We also have 5 barstools. 42 inch flat sceen TV in the living room and 3 of the bedrooms. DVD player in the living room and 2 of the bedrooms. Adjacent to our outdoor patio we have a garden area with additional table and chairs and our barbeque. We have patio furniture including a table and chairs. There is a tennis court on the Las Gaviotas complex. You would need to provide your own racquets and balls. You can play golf at the Baja Mar Golf Course about 20 minutes south of our house. The Olympic sized swimming pool is located right on the ocean. The hot tub is adjacent to the oceanfront, swimming pool. Big enough for about 15 people. We could not have had a better stay at Rob’s house in Las Gaviotas. His communication as a renter was so quick and helpful from the very beginning. He also had very clear directions on how to get to his place from San Diego, FAQs and restaurant recommendations, which was awesome! The house itself is in the Las Gaviotas gated community which is incredible. Spectacular views, a minute walk down to the pool and large enough to sleep 12 people. The house was equipt with everything we needed for our weekend stay. I highly recommend this VRBO and will absolutely be returning! #145 Los Pelicanos Este. Open the door to this huge home and WOW! What a view. A very clean rental that was well equipped a very short walk to the beach and the surf. A s a matter of fact the main surf break can be seen from the main room. The open floor plan was perfect for our Surfrider Foundation Leadership Retreat. A grassroots non profit dedicated to protecting our oceans, beaches and waves for everyone! Rob, made getting there and entering the secure compound of Las Gaviotas a piece of cake. Take the advice he gives you and you will have a seamless vacation. Walk across the street to Colectivo Surf, a sustainable seafood restaurant / sports bar that has massive indoor and outdoor family friendly spaces. Noel, the owner is great and has an amazing menu. 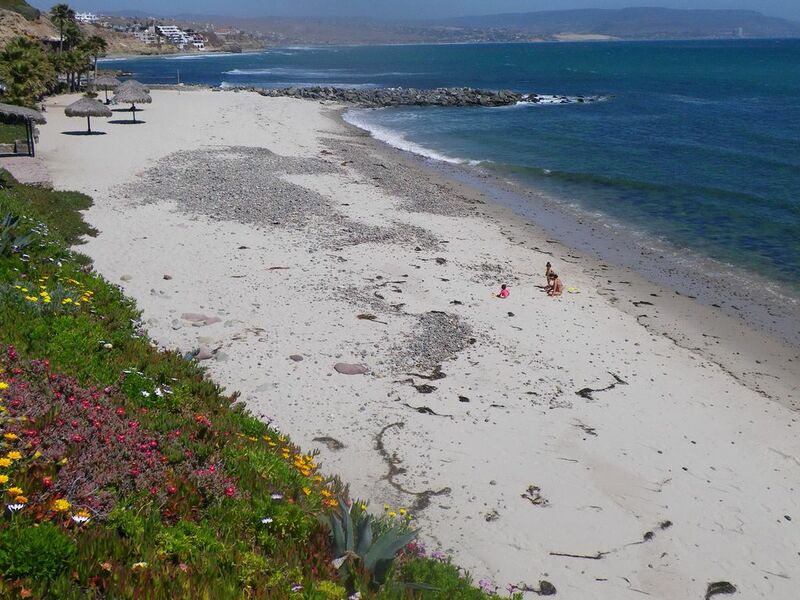 You will love this home and the serene Las Gaviotas environs. I plan to be back! Beautiful sunset views in the evening! More space than anticipated. Awesome property with plenty of room, and easy access to the beach or pool/jacuzzi. Washer and dryer were very convenient in the garage, along with foam top surfboards and beach chairs... although we used the provided volleyball the most! Rob and his house provided a fantastic experience for a fun and relaxing surf trip with friends. The house is spacious, super clean, has a stellar kitchen with everything needed for good cooking, and is a short walk to the beach and nearby amenities like pool and hot tub. Rob's communication was awesome, making our entry to the Gaviotas community and the house super easy. A great house for family and friend getaways, I highly recommend! Memorial Day, July 4th, Labor Day, Thanksgiving, Christmas & New Years have a 4 night min. Mid week rentals during the summer do not require a 4 night minimum. Our house is ideal for families, couples or a group of friends getting together but we do not rent to groups of guests under 25 years old. Rent 2 nights and get the 3rd night for $150 from November 15 2018 through March 13 2019 except Thanksgiving, Christmas, and New Years.